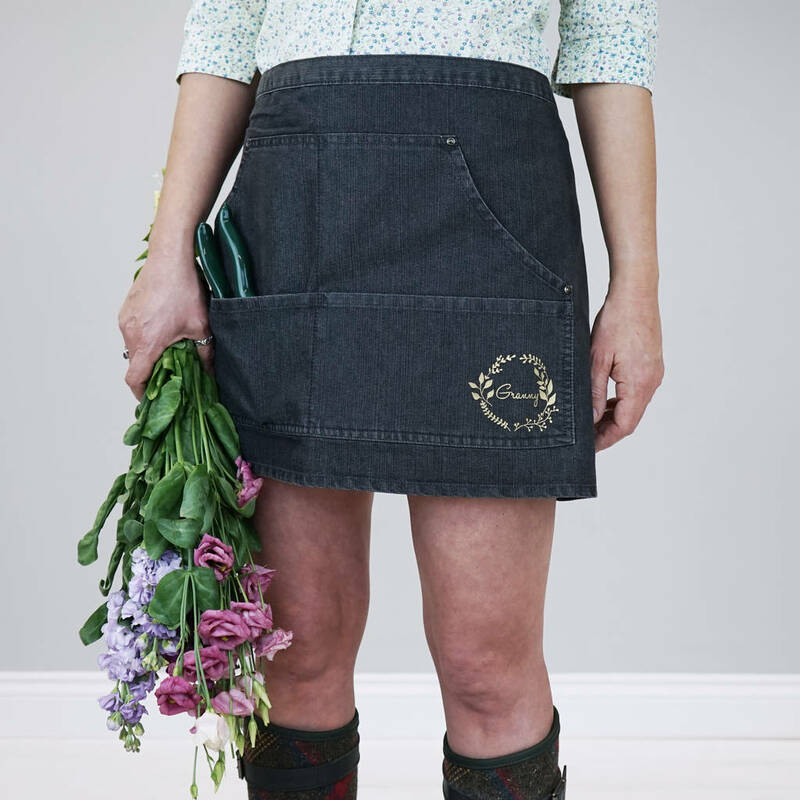 Our Denim Gardening Apron makes a great personalised gift for Mother's Day or your Mum's or Granny's birthday. 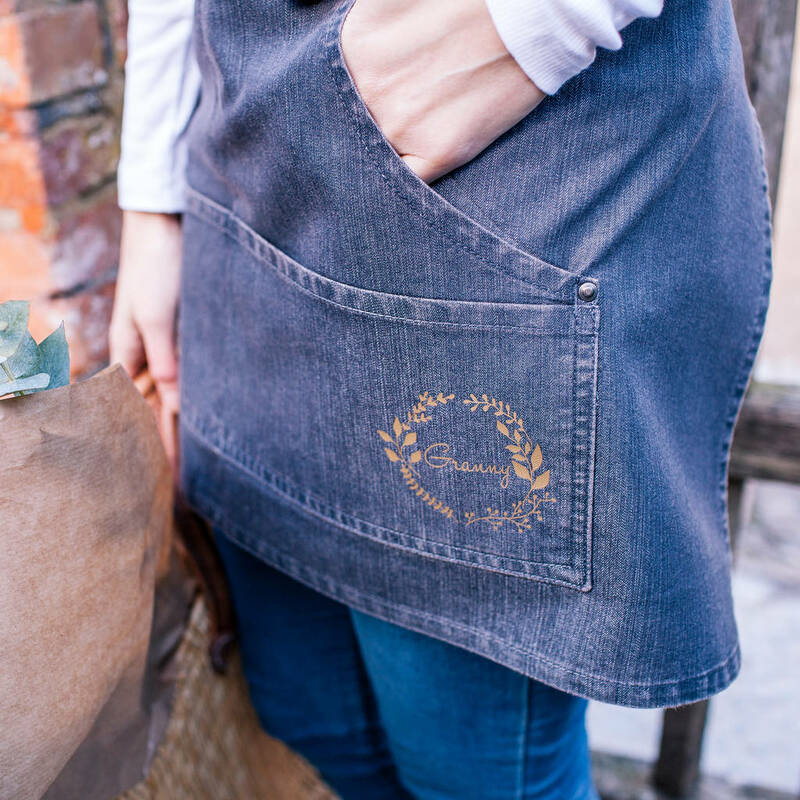 You can personalise your apron with a name like Mummy or Victoria in our gorgeous font inside our popular botanical leaf design. The apron is made from a lovely strong denim and has four handy pockets at the front for all your gardening bits and bobs. 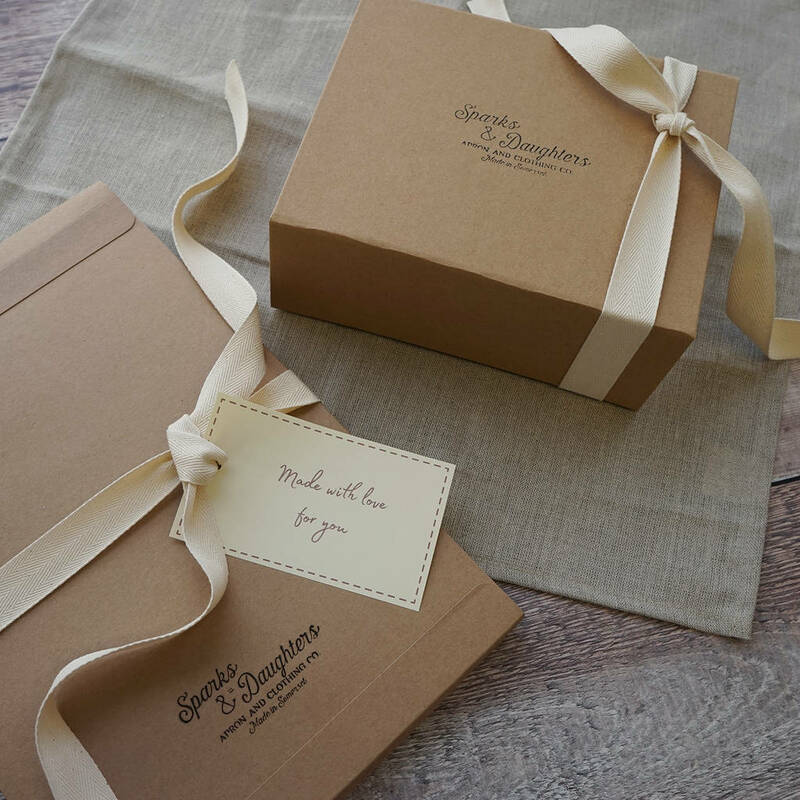 Its available in two colours, black or indigo denim and a wide choice of print colours. The main image is black denim with gold print. 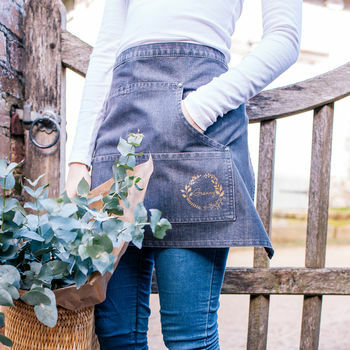 You can now add an enamel mug or a garden tool bag with the same personalisation. 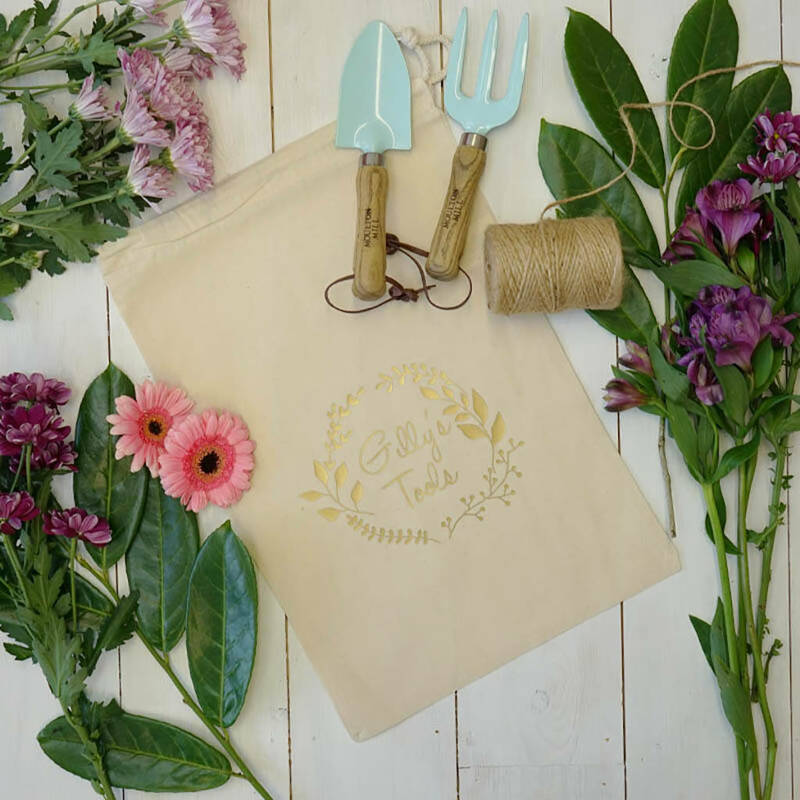 The mug will be the same colours as pictured and the tool bag will be natural with the same colour print chosen for the apron. 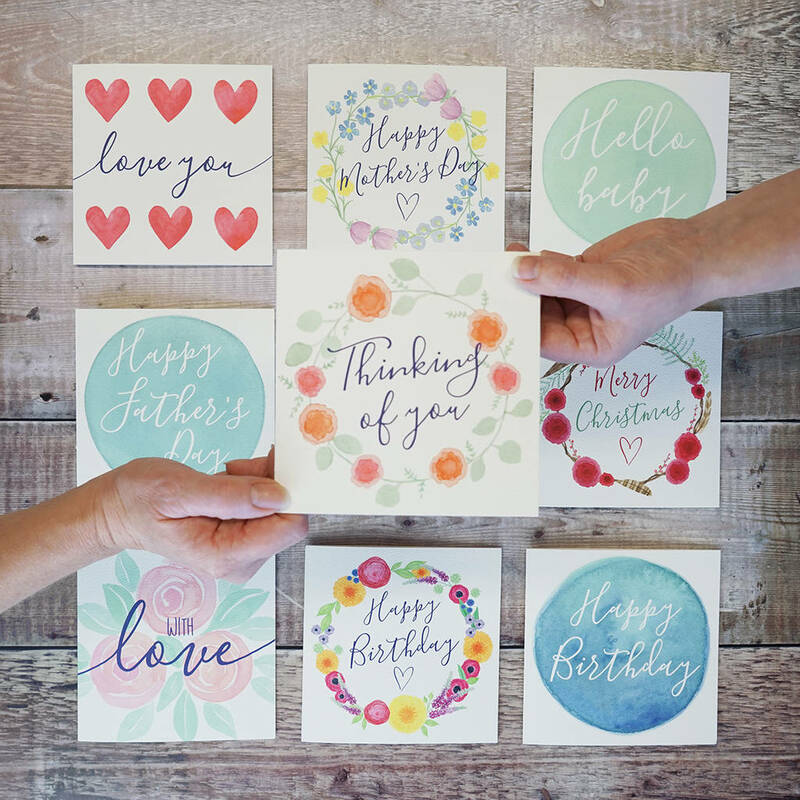 A perfect gift for your Mum, Sister, Aunty, Niece, Gran or friend for their birthday, Mother's day, Christmas, or as an anniversary or new home gift. Enamel mug if added: 100% enamel. Please note that due to the hand-crafted nature of the mugs they may have a slight dimple or blemish in the finish.